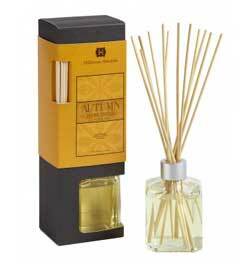 Autumn Harvest Diffuser, by Hillhouse Naturals. Fragrance: cider spiced with nutmeg and ginger. Comes beautifully packaged, includes the reeds. 5 ounces. The Reed Diffuser is a safe, flame- and smoke-free alternative to burning candles and incense. Richly scented oil releases its fragrance to the air through the wood reeds. This is for Buttered Maple Syrup: caramelized butter and rich, sweet maple (bestseller!). The Reed Diffuser is a safe, flame- and smoke-free alternative to burning candles and incense. This is for Cinnamon Bun: sugary cinnamon, butter, and a touch of caramel. The Reed Diffuser is a safe, flame- and smoke-free alternative to burning candles and incense. This is for Orange Clove: bright citrus peel and light spice. The Reed Diffuser is a safe, flame- and smoke-free alternative to burning candles and incense. This is for Vanilla Hazelnut: warm nutty vanilla.